This is a great instructional video. You can return to it as often as you like to get every detail the way you want it. 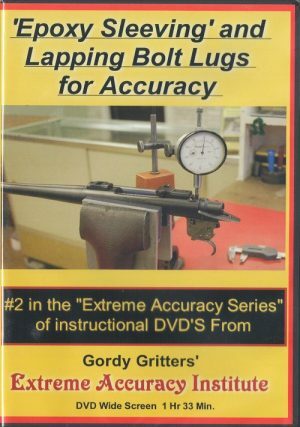 In this intensive course, Gordy Gritters, well known benchrest gunsmith and competitor, thoroughly explains rifle accuracy, including the problems that cause poor accuracy, he shows you how to completely evaluate/measure/gauge every aspect of a factory or custom rifle for accuracy problems. He shows how to “slug” a bore to evaluate internal barrel problems, and has some terrific borescope footage that clearly shows crooked/off-center chambers, smeared lands caused by dull chamber reamers, chamber and throat “reamer chatter”, throat erosion, and other accuracy robbing problems. 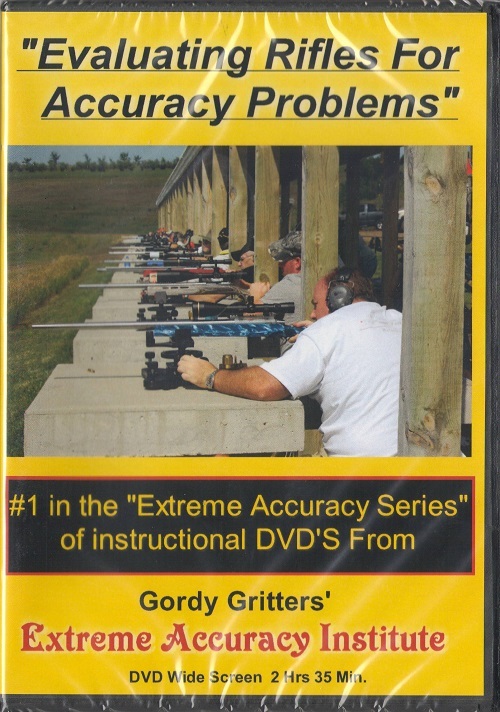 Gordy then goes into detail explaining some of the best procedures used to correct all the accuracy problems in the action, barrel, stock, bedding, trigger, and other components of a rifle, including the “Big Five” things that are absolutely essential to bring out the full accuracy potential in any rifle! This is the same information that Gordy uses to help his clients win matches. Owning this kind of resource material is invaluable. 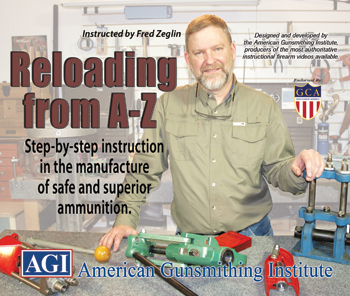 Reloading from A-Z is a course with nearly 8 hours of information in video format you can watch as often as you like to brush up or pick up a new skill. The Liberals at YouTube don’t want you to see this. Learn how-to make hand loaded ammunition tailored specifically for YOUR needs. 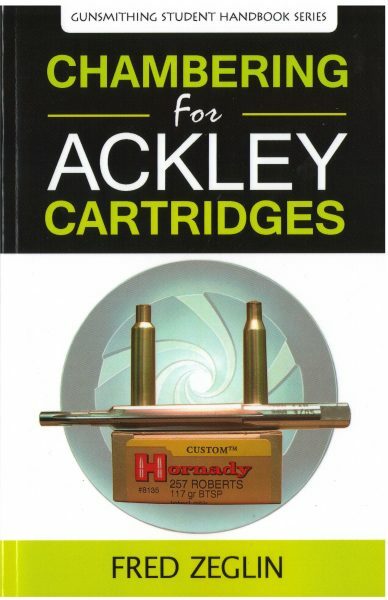 This course is far more in depth than any other reloading course on the market. 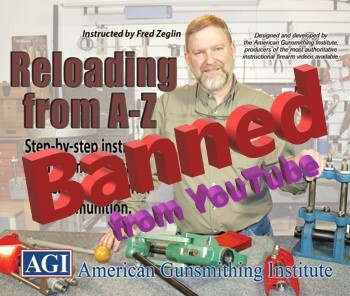 Renowned cartridge designer, gunsmith, and AGI instructor Fred Zeglin begins this course by addressing reloading from its most basic fundamentals. This allows the new reloader to begin the process almost immediately with confidence and safety. He goes further and introduces you to tools that increase the speed and quality of the reloading process. Popular tools offered by numerous manufacturers of reloading gear are demonstrated and explained. 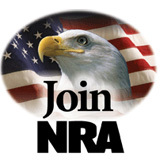 He also covers casting bullet techniques and advanced precision reloading for long range shooting. Most people learn reloading strictly from a mechanical ‘monkey see, monkey do’ view point. In other words, nobody ever completely explains to them WHY operations are performed a certain way or WHAT value they have. In this course Fred shows you, from a gunsmiths perspective, what is happening to the brass when fired and when it goes through the reloading process. This information will make you a well informed reloader and if you’re a gunsmith, will help aid in diagnosing problems with your clients’ reloads and guns. Accuracy is always the name of the game for any shooter. Fred talks about what makes a safe, accurate reload and shares simple tricks that will save you hours of trial and error at the reloading bench and range. Obviously, this translates into saving money on components as well. Our Special price here is for the course without the Certification from AGI. If you prefer to acquire the Certification we can arrange that or you can buy direct from AGI. We are often asked, “Why So Much?” Well its nearly 8 hours of intensive instruction, in a friendly conversational style that makes it all easy to understand. A wildcat cartridge is a cartridge that is not commercially loaded by a major ammunition manufacturer, but could be loaded by a specialty or contract reloader. 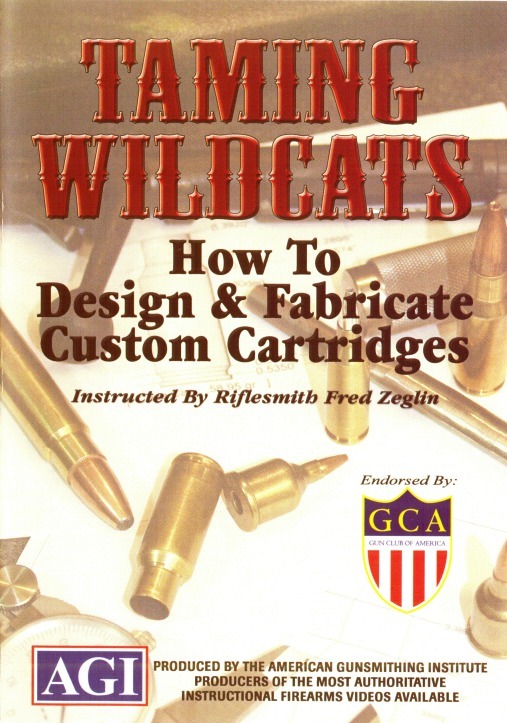 Taming Wildcats: How To Design & Fabricate Custom Cartridges. 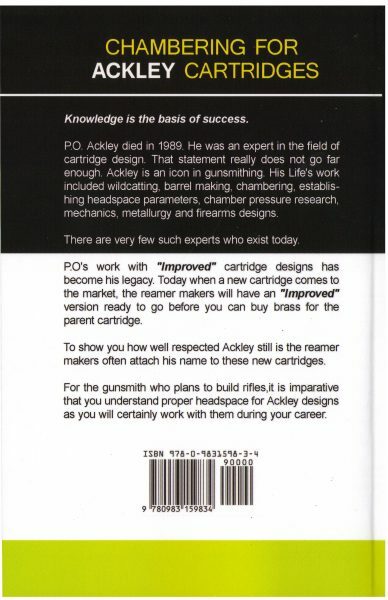 Is one of AGI’s courses, taught by custom gunsmith Fred Zeglin, renowned cartridge designer and builder of the well-known Hawk series of cartridges, will get the viewer on the road to a thorough understanding of Wildcats and Wildcatting. Great material for any gunsmith or do-it yourself-er who want to make the tools themselves. One doesn’t need to be a master machinist or tool and die maker to be able to turn out the blank resizing / forming / chamber reamers on the lathe; a tool post grinder is not needed. A bench grinder with a good fine grinding wheel and some practice will, with Zeglin’s expert and easy to follow guidance, will enable the viewer to turn out reamers that will equal anything one can buy! Talk about self reliance. This video is a valuable addition to your library if you want to know how to design and build custom cartridges, reamers and reloading dies. It provides detailed explanations and demonstrations. BONUS – Pages of information on resource material, tools, lubes and more! 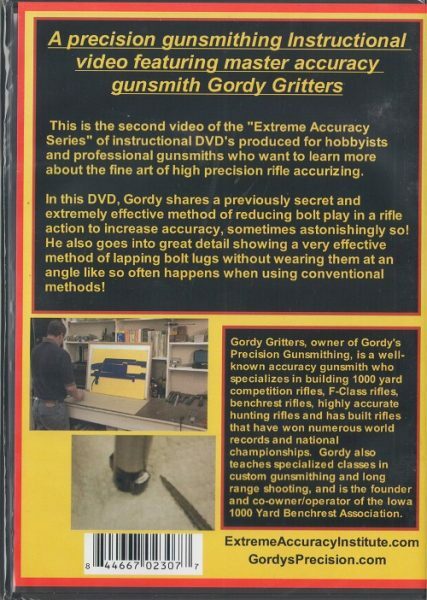 In this Course, Gordy Gritters, well known benchrest gunsmith and competitor, shares a previously proprietaty secret and extremely effective method of reducing bolt play in a rifle action to increase accuracy, sometimes astonishingly so! He also goes into great detail showing a very effective method of lapping bolt lugs without wearing them at an angle like so often happens when using conventional methods. These two techniques go hand-in-hand to correct issues that have a major impact on the accuracy of a rifle! 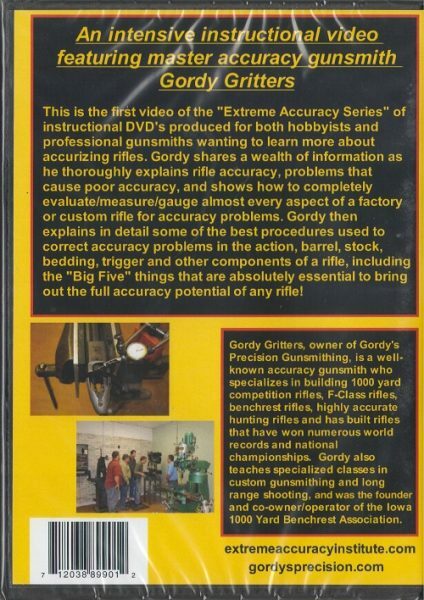 Gordy’s clients rely on him to wring out all the accuracy possible from thier rifles, you and use the same methods to improve your guns. Another great instructional video. Return to Gordy’s expert instruction as often as you like to get every detail correct.